A couple of years ago I went to Bruges in Belgium. 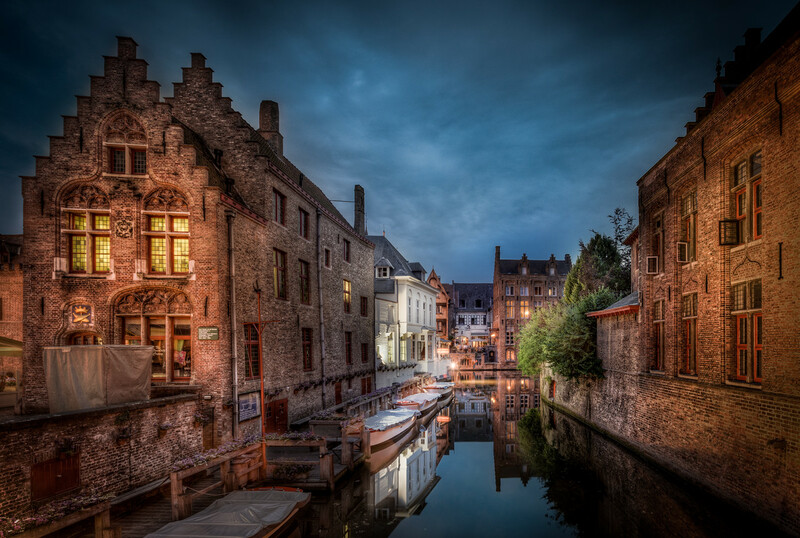 We were driving to France, and we made a point of going to Bruges to see it. After a classic Belgium dinner, I went shooting some photos. We stayed in the city centre and I could walk. There was a change in the weather. All day had been extremely hot and humid, the evening was no better. But while I was out, a light drizzle came and went again. 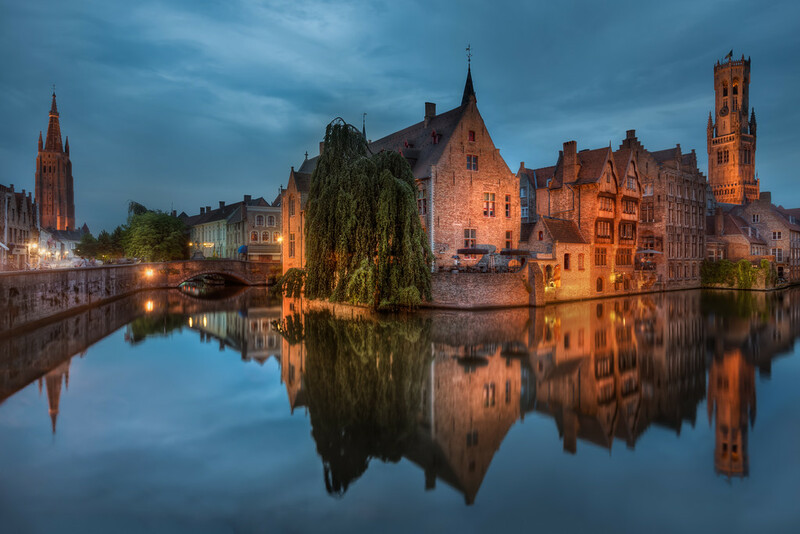 Bruges is famous, not only for it’s medieval town centre and canals but also for its chocolate. They call it the Chocolate Capital. And if there is something that I like, it is chocolate. In the morning, the weather had finished changing, and it was a cold morning and the weather stayed cold for the most of the vacation. But I got myself some great photos. These are couple of other favorites from the same evening. 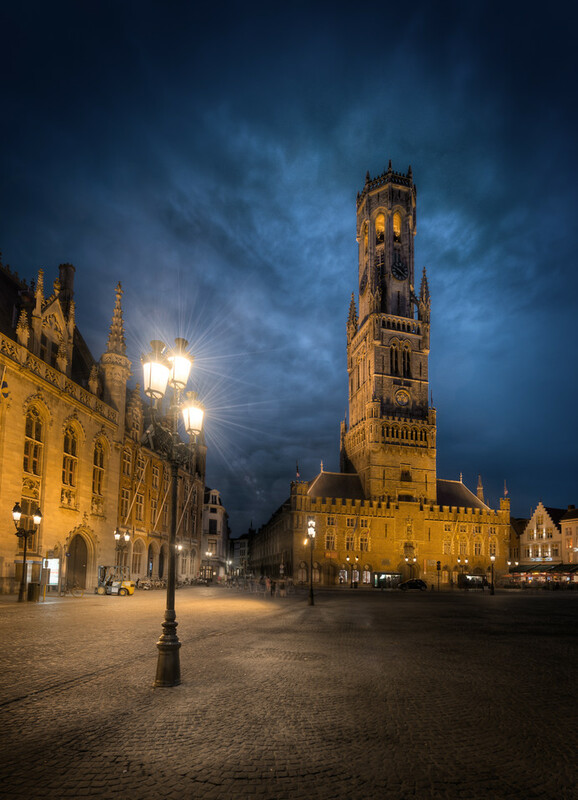 The Famous Bell tower in Bruges. You can see it poking up from many places in the city. The Little Venice Corner in Bruges. 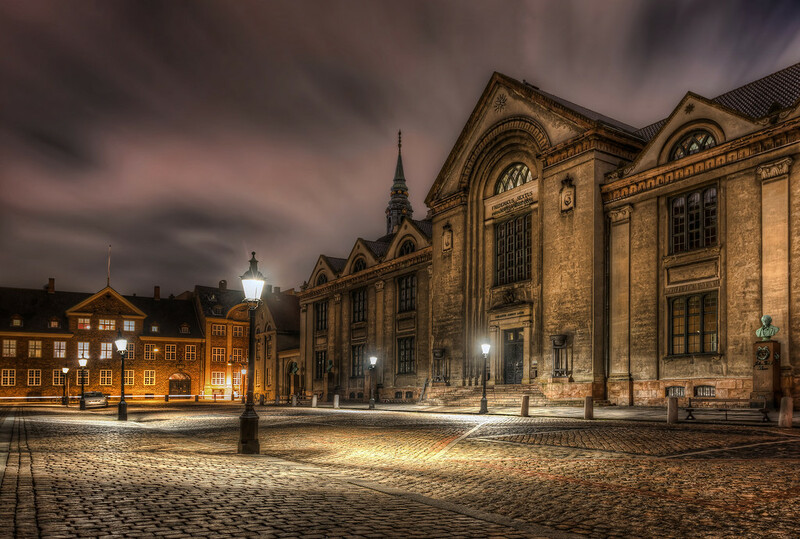 The old main building of the University of Copenhagen. This post is The Weekend Post – sign up on the website, to get it on email. Last week I showed how to get two great and yet somewhat different photos, out of one photo. If you missed it, you can find it here. This week I will dive into three things, that I find very important to improve if you want to improve as a photographer. I will put this into three solid tips, that will improve your photography. It’s not the usual tips, but it’s three things that make a big a difference. We all know the phrases ‘Composition is everything’, ‘Timing is everything’ and ‘ Light is everything’, and somehow they seem both to work together, and yet still, if they are not contradictory, at they are least not the same thing. So which is right? Well, sort of all three at the same time. If you have a poor composition, your photo will, no matter what you do to it in the post-processing, not be very successful. I once read that a bad composition is a turd, and no matter what you do in the post-processing, it will still be a turd. I tend to agree, and yet I have some reservations. I believe it’s a balance of several things, the composition being one of them. A weaker composition, can to some extent be compensated by great light, timing and post-processing, and you will still end up with a successful photo. If you can make everything peak, you will have a stunning photo. If you can get the perfect composition, in the perfect light, with the perfect timing, you will have a perfect photo … IF you know how to process the photo perfectly too. If you do not know how to post-process the ‘perfect photo’, it will never be a winner. One of the reasons, why I got into photography, and the very essence of “Caught in Pixels” is the realization, that an SOOC (Straight Out Of Camera) photo usually is not interesting. It is the post-processing, that brings a photo to life. No matter how good your composition, light and timing is, if the photo has a poor processing, everything falls apart. The post-processing is the glue that ties everything together. And the better post-processing, the stronger is the glue. Far too many people, think that extreme processing makes a good photography, but it doesn’t. If you want to have success with your photography, you need to have control of post-processing and have it on a (tight) leash. Have a look at this photo, in a badly processed version, and afterwards in a good processing. An example of a poorly processed photo. This is a 30 second processing process. It almost hurt my eyes to look at this, and they keep floating around searching for focus points. And now the exactly same photo, just processed competently. The same photo processed in a good way. This is a 2-3 hour processing process. This one is much more peaceful, and the eyes wander straight to the pulpit. In the first version of the photo, is a classically badly processed HDR. And it is that kind of processing, that has given HDR photos a bad reputation. It is too much of everything, and the depth is completely gone, because everything seems equally important. If everything is enhanced, nothing is enhanced. You might be able to see, that a strong photo and composition is behind the bad processing, but a poor processing takes the away the quality of the photo. In the first version, the first thing that comes into my mind, is ‘too much, too much of everything’. In the second version, there is a much stronger balance in the photo, and this is the difference. A heavyly processed HDR photo, with the award “I dont’ like HDR, but I like this one”. 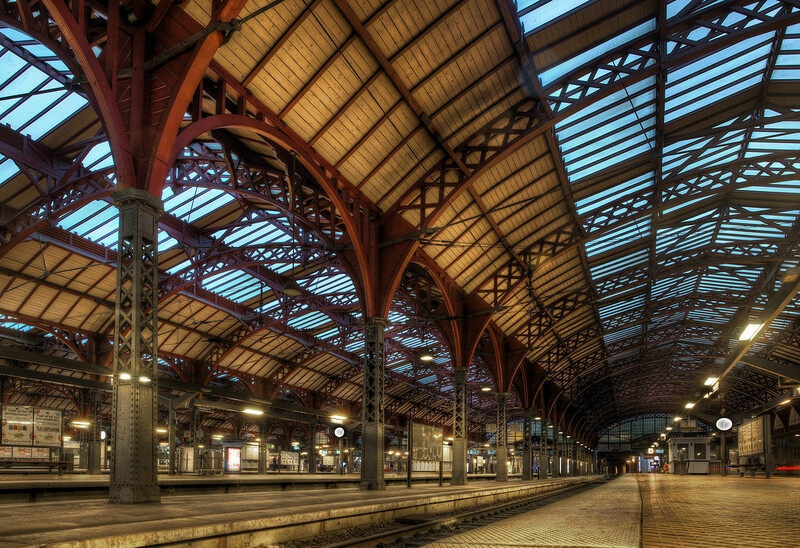 Why that comment is given to the photo of Central station in Copenhagen, does make me wonder. HDR apparently divides people into two groups, those who like it, and those who hate it. And yet, some of the people, who are dedicated haters of HDR, still likes photos like mine. Even if I have done an extreme HDR processing. Why? I think it is because I have kept a foot in the real world, and I don’t have a lot of classical processing mistakes. There hundreds of ways I could have processed it, and another person could have processed the photo in yet another hundred ways, and anyway would have made it to a successful photo. The way I did it, I just made it mine. I keep depth in the photo, by controlling highlights and shadows. I play with them, and enhance some, and flatten others, but I don’t enhance everything, and that is an important part. If I had released the photo from Copenhagen central station, in a crazy psychedelic HDR processing, like the one from the cathedral above, this would never have received any appraisal from an HDR hater. It would have been categorized as ‘a typically HDR’. 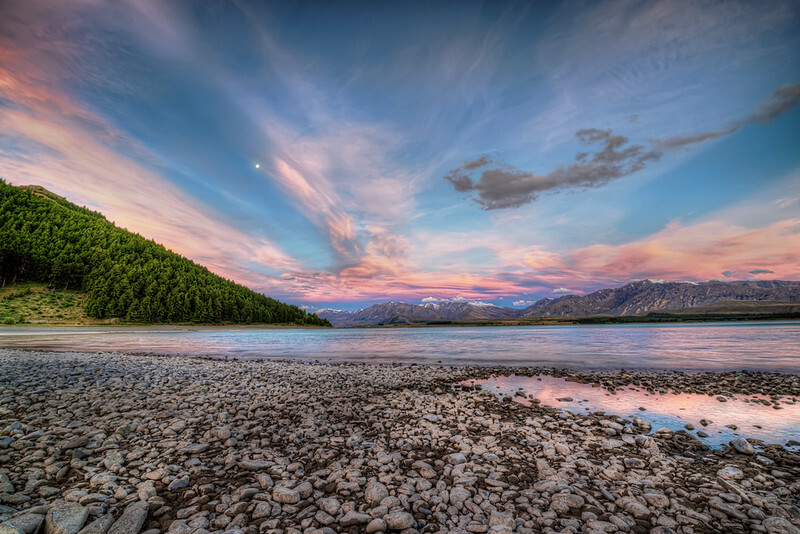 HDR is not a synonym for bad post-processing, but unfortunately, there are tons of badly processed HDR photos out there. A large part of my game is HDR, but it is generally applicable. You need to learn to do proper post-processing, to make quality photos. 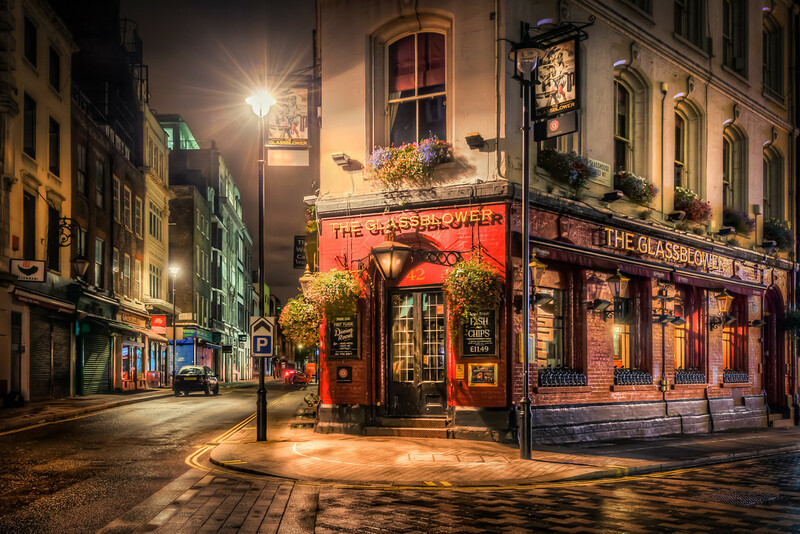 It requires more than pressing a button or perhaps even investing 30 seconds on processing images, to create something, that is pleasing to more people, even people who are declared ‘haters of HDR photography’. That is because the quality of the HDR photos increases, by doing proper post-processing. Learn post-processing and learn it fast. It’s one of the most important factors. Do not rely on ‘press a button’ processing. In these Instagram and Snapseed days, everyone can do that. Don’t be everyone else. Be yourself! Learn to post-processing, and learn it fast. Be yourself… No, you will not make nearly as many photos in the same time, but wouldn’t you rather make high-quality photos? I know I would. I believe that is the truth. It is a much more complex matter, than ‘light is everything’ or ‘composition is everything’. It is about the quality of the photo, and light and composition are factors in this equation, but they can not stand alone. Quality is to an extent a subjective matter, but there are also many objective elements. One of them being, bad processing doesn’t fly. What you have to do, when making a photo is to strive to get as high a quality as possible. This begins, when you grab your camera, to go out shooting, and goes through many different steps, until you finally stop post-processing, because it is finished. As time passes by, and your overall skills improve, something else happens. A small voice in the back of your head appears. It says, ‘is that good enough?‘. It happens when you are post-processing your photos, but also when you are shooting photos. No matter where you hear it, you should pay attention to it. The first time I was seriously aware of that little voice was when I did this shot. First I did the one on the left, and the little voice said ‘You are almost there, you are on the right track, just move the camera a bit‘. I heard that little voice, and three shots later, I had the composition working my way. Moving the camera a bit to the left, and a bit down, as my little voice suggested to me, makes the difference between a nice shot and a killer shot. It was the last but one shot, I shot that morning, because the Sun came out too strong only a few minutes later and had I not listened to the voice, I would not have gotten this photo. The same goes when you post-process you photos. Learn to listen to that voice saying ‘ahh, is that contrast just over the top?‘ or ‘something is missing in that area!‘ It takes some practice to be able to hear this little voice, but it is usually right. It is about finding a balance, that works well with a photo, no matter if you are aiming at something natural looking or you are aiming, at something more surreal. It has to be balanced nicely. A classic mistake made by novice photographers, diving into post-processing, is to be too drastic in the post-processing. Too much HDR effect, too much Contrast, too much Clarity or too much saturation. We have all been novices, and have made all the same mistakes. And it is by listening to that little voice, in the back of our heads, that we improve. There is nothing wrong, by going a little bit crazy, and wild. You just need to balance it in the photo. 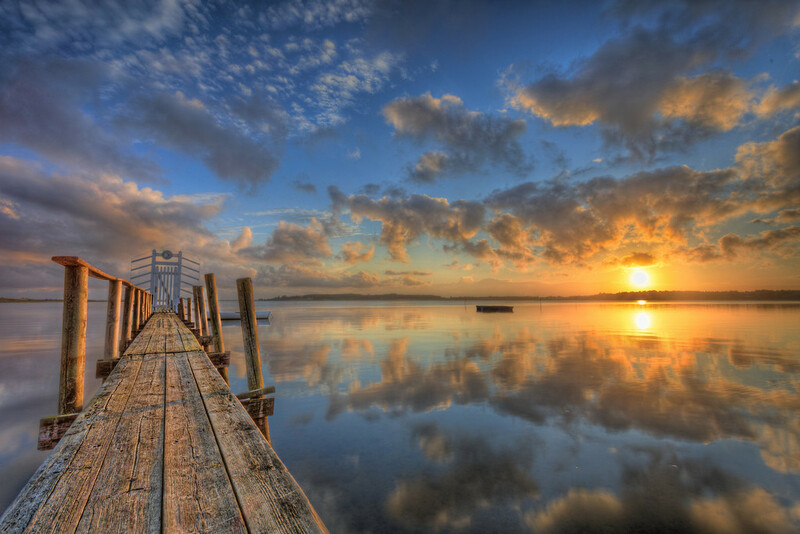 The sunrise photo, has a crazy wild processing too, but it is only applied locally. And it is a very strong element in the equation, that gives the image a high quality. In most cases, global adjustments (saturation, contrast etc) to a photo is not enough, to make a photo reach its full potential. I am tempted to say that the whole difference, between a successfully processed photo and a less successfully processed photo, is the ability of the photographer to apply changes locally, accordingly to what is necessary. This might be a little bit abstract, but in the photo above, I did a lot of standard processing, but what knocks this photo into being something special, is the heavy enhancement of the jetty. The jetty is heavily processed. The exposure has been increased, and a 100% clarity pen and some detail enhancement from a Topaz Adjust filter have been applied to the jetty. Had I applied those effects globally to my photo, it would have been ruined the balance, due to over processing, but applied to just the jetty is amazing. And it is the little voice in the back of my head that suggests that, and I listen to it. The little voice in the back of your head will eventually begin to say ‘that does not look too interesting, can we either enhance or hide it?‘ or ‘this is the important element, it needs to be popped!‘. What is important is that you, listen to that little voice, when it speaks. The little voice is your intuition, and the intuition is MUCH stronger than the rest of your conscious brain. Learn to listen to that little voice saying ‘ahh is that composition or processing good enough?’ Usually, that little voice is right, it’s you sub-conscience, and it is much more powerful than the rest of your brain. Learn to listen to it, and act on it, to improve your photography. You learn from making mistakes, but only if you notice you make them! Learn from your mistakes. Your little voice points out your mistakes, listen to it! And learn from it. I have more than 100.000 photos in my library. Even if some are series of 3, 5, 7 or 9 HDR photos, it is still a lot of different photos. I don’t have time enough, to process all of them, not yet anyway, but not all are worth processing either. If I was to try to process them all, I would not have enough time at all. Since I don’t have the time, to process all photos, I should only focus on the ones resulting in quality photos. Not all can be killer shots, but certainly above my personal minimum level of quality. One of the pitfalls I regularly fall into is that I try to process a photo, that is clearly never going to turn out any good. This is something, I have seen other photographers do too. For some reason these photos attract us, I know I am attracted to them because I see them as problems that need to be solved and I love to solve problems. But some problems are just unsolvable or extremely time-consuming to solve, and I end up wasting valuable time, with mediocre results. A photo might not be worth processing for many different reasons. It could be the clouds that are boring, the wrong time of the day, or even wrong time of the year or simply, that the composition has failed. Some of these things are fixable, and some are not. Train yourself in identifying the photos worth processing. I use a star system in Lightroom. When I imporort new photos, into my catalog I rate them 3 stars. 1 star: I will not look at this photo again. 2 stars: Maybe on a rainy day, but probably never. 5 stars: Ready to process. Often I have a lot of different, and yet similar compositions, and picking the strongest ones, takes a bit practice, but it is worth spending that time. You learn a lot from evaluating your own photos. Sometimes, when you have evaluated your photos, you can see, that if you had moved the camera, or it had been shot at a different time of the day or year, it would have been a better photo. And sometimes, you have the option to actually go back and reshoot. Put the photos in a folder for reshooting, not to forget. Don’t work too long on ‘not good enough’ photos, you just waste valuable time. If you have the option, go back and reshoot, and that way you will learn from your mistakes. Or move on to other photos, just being able to stop yourself, is learning too. There is a lot of satisfaction, as well as a lot of learned lessons, gained from going back and reshooting a location, and doing everything right. The right timing and the right composition, and going back home to do the right processing. This last example shows an example of, how I deliberately went back to shoot a specific scene. When I was there in May and everything was green and just too green. Grass, fields, trees, everything was just green and then more green. Instead, I returned not long before the harvest, when the fields had turned yellow and I reshot. The Sun was in a different location at sunset, and I had to move into the field, to get the Sun behind the trees in the far background. This allowed me to use the tracks in the field as leading lines. The photo on the right couldn’t have been shot in May, even if the sunset was nice in May, and it was nice. This I could do, because this is pretty close to where I live, and I can just go there. If you are travelling, you might not have the option to go back, and yet you still might have. I often travel to cities, and as it turns out, you often pass the different locations more than once. Often during the day as well as night. What I have begun to do, is to shoot daytime photos, and review them, and then go back and reshoot early in the morning or in the evening. This way, I get some ‘practising’ time. Doing this, saves me time later, because the sorting processes will be easier, simply because I have less photos, trying to find the best composition. These three tips require something of you, but photography does! You can not improve your photography, if you do not put some kind of work into it. There is no silver bullet, only sweat. Some of the things, might come easier to some of you, while others have to work harder. But eventually, if you work hard enough, you can succeed. These three tips, will make you a better photographer, and remember a photographer is not only, about being in the field. It is also about bringing a photo to life in the post-processing. And because, it is only you, who does things the exact same way, as you do, you will get your own style, in time. 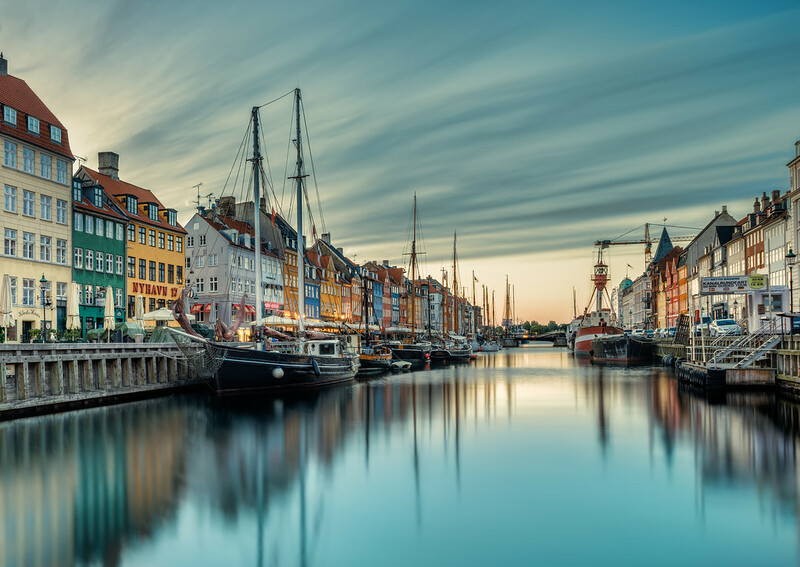 This photo of Nyhavn early in the morning is one of the most shared photos I have. And of course it has been misused too. A year ago a fellow photographer, whom I did not know, contacted me to let me know, that a company was using my photo illegally. I did a little research, and he was right. It really upset me. This incident became the start on tracking down misuse of my photos, and I had no idea how complicated things got. I used Google reversed image search, and at first, it seemed amazingly simple, and I was completely blown with what it could find. But that’s what Google does best, it finds stuff. However, I soon found out; it doesn’t scale. There’s a lot of work involved in tracking down just one single photo. If you have hundreds or even thousands of photos, you can not sit and track each single photo. It takes far too long time. Nevertheless, what I did was to start out with what I thought to be the most likely to have been misused. I quickly found some usages of my photos, but now things got complicated. I am a photographer, not an attorney, and I have no in-depth understanding of the law and copyrights. So I started investigating. What does the law say? What is Copyright, and how does it work? What are the differences in EU and US? What pressure tools do I have to get paid? What price should I claim? And how to convince them to pay for it? Should I claim one price, if they mentioned my name, and another if they didn’t? It seemed that more questions, than answers, popped up in my head. 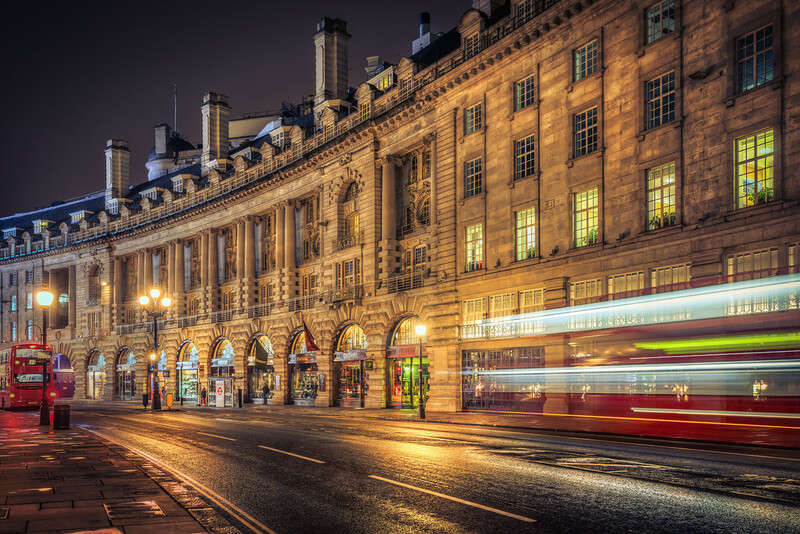 This photo from Regent Street in London was misused by the window company in UK. I share my photos as Creative Commons, non-commercial. I thought I had a clear idea of what this meant. Any commercial company can not use my pictures. But apparently not. There’s a big gray area in the middle, allowing some commercial companies to use my photos if it is just not for a particular commercial purpose. This area got too complicated for me to handle alone. One particular case stuck out. A Window company in the UK had used one of my photos in an article they featured on their website. They had it under a section called News and Blog on their website. I wrote them a variation of a standard mail. Some consultant from their web agency got back to me, and said, it was a blog, and, therefore, covered the Creative Commons part of my license. What nonsense I thought, this is clearly a commercial company, no matter what they call a section on their website. I decided to try out this case, and carry the discussion all the way. At some point, I felt like the John Cleese in the Monty Python sketch with the dead parrot. He comes into a pet shop and says: “This is a dead parrot” and the parrot is beyond doubt stone dead, and the shop keeper just keeps saying “no it’s not” in a hundred different ways, and John Cleese gets more and more frustrated. That was exactly how I felt. The article had a ‘download brochure’ and a ‘get in contact’ included in the same article, yet the consultant kept insisting that the page was under the blog section, and therefore not a commercial use. At some point he offered a 1/10th of what I wanted, in other words, a tiny amount, to show, as he said ‘good faith.’ I refused, because, I had decided, on principle, to carry this to the end, and get what I thought was fair. It even turned out, that the guy himself was a photographer too, besides being an IT consultant, yet he did not bend. In the end, after a very frustrating email correspondence, there was radio silence, and they removed my photo from the post, and, in the end, I got nothing. I ended up with a feeling of not having the arguments nor the authority to handle this. Too much I didn’t know. Only ‘me’, a simple photographer. No power, no nothing. And it had taken me forever, and my blood pressure had been very high. It was a tough road to travel. This photo from just off Regent Street, is the most stolen photo I have. I made the mistake of uploading it in full quality. But how do you argue with someone, who responds “no it’s not” every time you say something? It’s not easy if you do not have the authority. I mentioned this to a photo community I am a part of. And one of the others mentioned Pixsy.com, and I went at looked at their website, and immediately applied and got accepted. As a simple photographer, what do I get, that is different from I can do on my own? First of all scalability and authority. Pixsy.com continuously tracks the usage of your images and presents you with new matches when they occur. All you have to do is go through the list and report all usages that are illegal. It’s so much easier than using Google’s reverse image search. When you have reported a case, Pixsy.com will take it from there. Pixsy.com have the authority, and they have the legislation knowledge to work their way through with an infringement. Apart from their knowledge, represented by the in-house team of licensing experts, Pixsy.com also have a global network of law firms. Based on the severity of the claim and the scale of the company, they refer the case to one of their legal partners, who will then also go into the negotiation with the infringer to get the photographer the best possible compensation. Second, I do get a lot more money, than I had been claiming myself. A case like the one with the window company would likely have given me 25 times more than the consultant offered me. Third of all, it’s healthier for me. I don’t get personally involved. Fourth I save huge amounts of time because it is so much easier. There’s still work to do, now but it scales. So, if you publish your photos, I can highly recommend to use Pixsy.com to track down misusages of you photos. This photo really came to life, when I used the color space Lab Color as a tool. 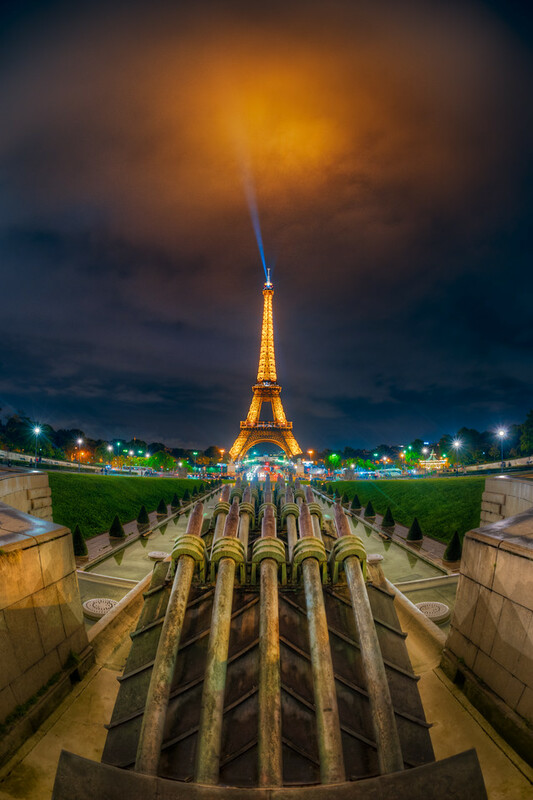 Teaser: Last in this post, you can see the before version of this image of the Eiffel Tower. Recently I have been working a lot on understanding colors and color spaces. It has been coming to me, from two different angles. It’s funny how things sometimes converge from different places and situations into the same realization, at the same time. I have been working on understanding why some of my prints went haywire color wise, even at a professional printing house. It turned out, it had to do with color spaces or more correctly the gamut of a color space. A gamut is the range of colors a color space can produce. Gamut is a strange word, but I will try to exemplify in a simple way. I will discuss this in more detail in a later post. At the same time, as I was working on getting my prints looking right, on another track in my life, in my eternal search for new cool processing ways, I came across the Lab color space as a processing technique. It was introduced to me, by Robin Griggs Woods, and I was completely blown by it. What is a color space anyway? Before getting deeper into the Lab Color color space, let’s talk a bit about the color spaces in general. Color spaces are quite complicated, and I will try to make an easier-to-digest description. Semi secret room found in the Cathedral of Chester. 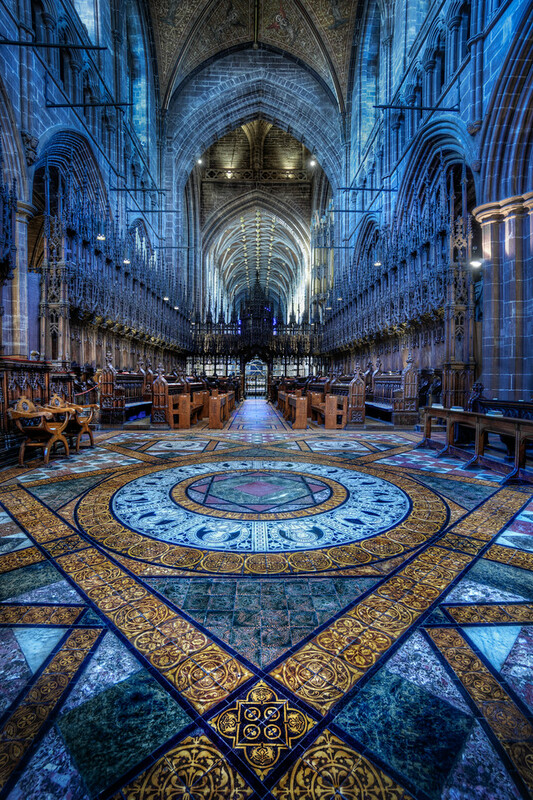 When I exhibited at Chester Art Fair 2015, I got the chance to see Chester Cathedral. 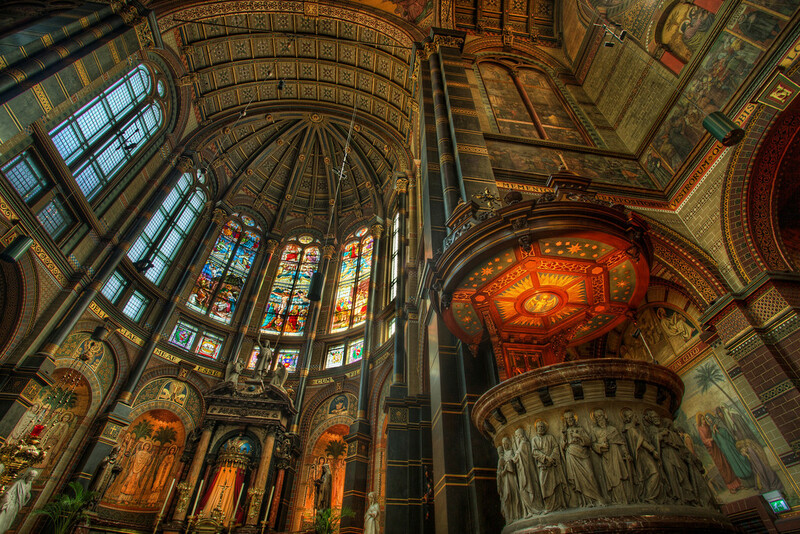 An amazingly beautiful cathedral built in the shape of an enormous big cross. It’s like it has more churches in one, or many chapels if you like. This pattern on the floor I think is a bit of a secret. It’s hidden behind the main altar, next the choir boy’s benches. It’s a sort of a room right in the middle of the church, but for some reason you miss it. Before getting into the Cathedral we were standing in some of the surrounding facilities shooting on a tripod, and an elderly formally clad lady working in the church came by, and said ‘that must be important’, and I figured she was a member of the tripod police, but no, she wasn’t. She just wanted to know why I used a tripod. I shot this photo with my Sony A6000. I really like the size of the camera, it produces photos of an amazing quality, as you can see. This is a bracketed photo shot using -2, 0 and +2 exposure compensation. I am leaving for Paris tomorrow to attend the Art Shopping Carrousel du Louvre. I am pretty excited about it, and thought I would share with you, the two pieces I am going to exhibit. The first one is my ‘Viking ship on a winter’s morning‘, which seemed to be an instant classic, and one I have had a lot of success with since I made it 3 years ago. 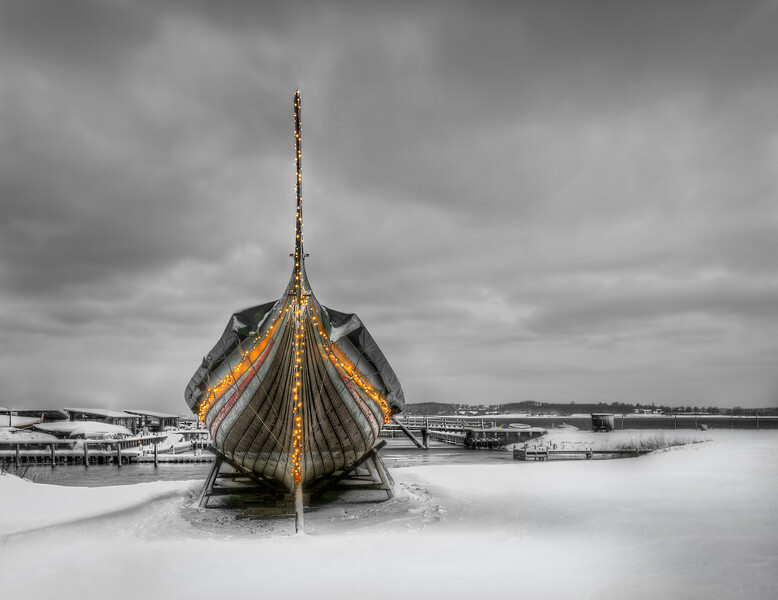 I had just got home from New Zealand to a winter clad Denmark, and the Viking ship ‘The Sea Stallion’ sat on land with lights on. On the first day I went down there, I had the wrong lens with me. The next day there was newly fallen snow, and I went down during the blue hour and got my shot. The newly fallen snow was a nice improvement. During the post processing I removed all blue colors, which is what makes this image so special. It doesn’t work on all images, but on this one it certainly did. 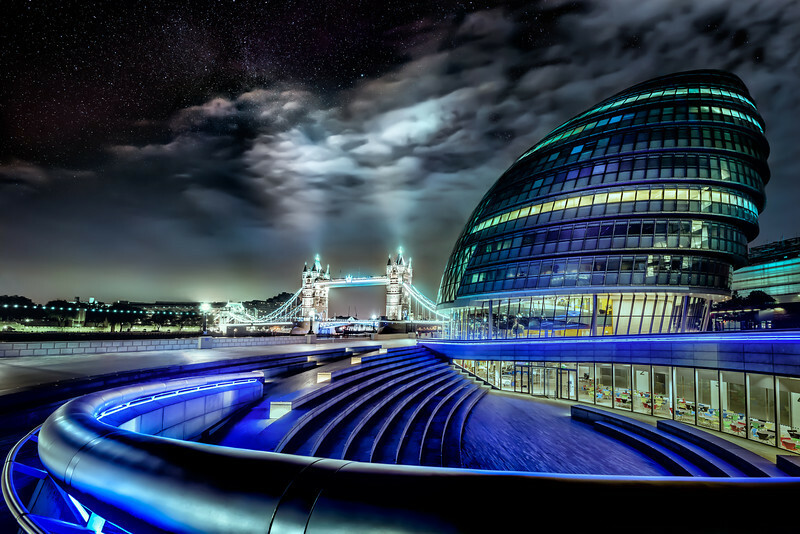 The photo of ‘Tower Bridge and City Hall under the Stars‘ took particular long time to create. It is a composite with a Swedish set of stars in the upper left-hand corner. It took me a long time because the photo kept lacking something magical, and I couldn’t find this magical component, but I didn’t give up. I played with this photo during a period of several months, and then suddenly one day, things started moving. I had found the color theme, I wanted to use, and when I noticed a handful of stars in the corner, I instantly knew what my magical component would be; stars in the corner. I used a shot of the Milky Way that I shot in Sweden earlier. Art is about communication. I could have settled for a normal post processing on both of these images, and they would have looked more or less like, what it looked much like when I was there, but it would have been less interesting photos. It’s a different story I want to tell, than the ordinary story. I want to take the viewer on a journey into a land between the real world and the surreal world. Let the viewer ride the mountain ridge, with the valley of reality on one side, and the surreal valley on the other side. The viewer must be fascinated with the amount of details, colors and the different presentation of reality. The viewer might even question if it is a photo at all. That is my aim with what I do. This put’s a lot of restraint on what photos I can use. The single most important element in my photos is the light. If the light isn’t right, I can’t use the photo. And when I have the photo shot in the right light, I will spend time finding the journey I want to bring the viewer on. Sometimes this comes fairly easy, at other times, this can be very difficult. Because of the high standards I require of myself, I can only produce a smaller number of artworks. Lake Tekapo is one of the most surreal lakes I have ever seen, due the color of the water. Lake Tekapo is one of the most extraordinary things I have seen in my life. 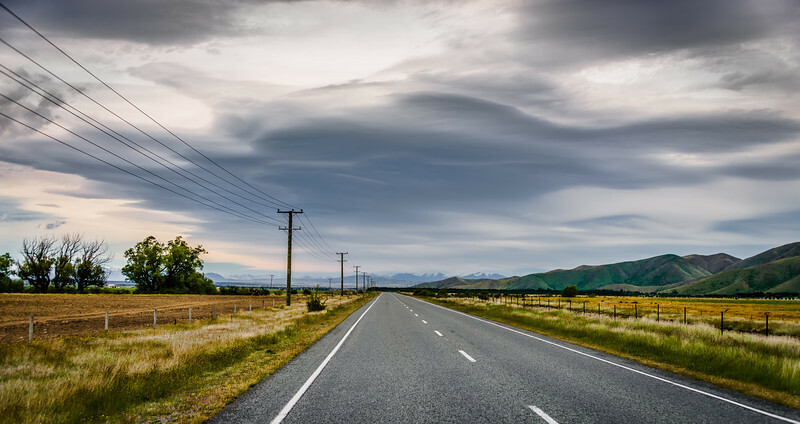 We drove around New Zealand in a campervan for a month. While a month seems like a long time, it really isn’t enough to do New Zealand proper justice. We skipped a large part of the Northern Island, not because we didn’t want to see it, but simply because time didn’t allow it. Our last night in our campervan we had with a view of Lake Tekapo. And we sure did have a great day there. We drank the world famous in New Zealand soft drink L&P had our favorite sandwiches with Watties Ketchup for lunch, while we sat in the back of our campervan and enjoyed the view of Lake Tekapo. At sunset time, we were rewarded with the most amazing sunset, with surreal painterly like clouds. A sunset worthy of New Zealand. 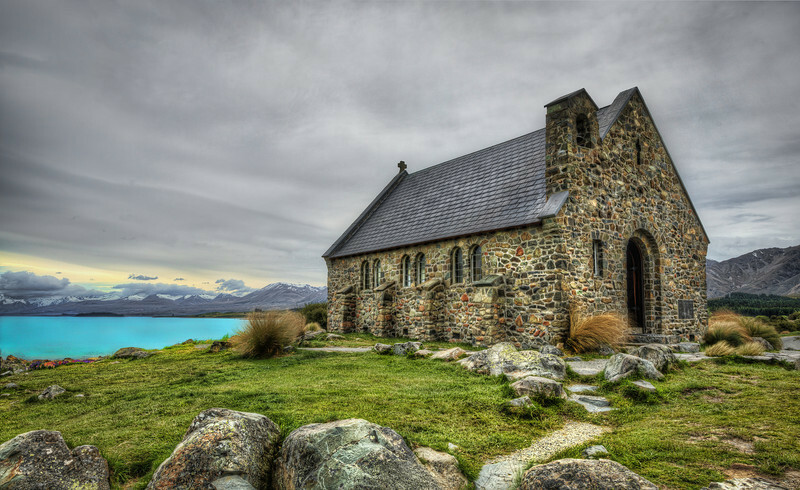 The Church of the Good Shepard watching over Lake Tekapo. These are some of my other shots from New Zealand. 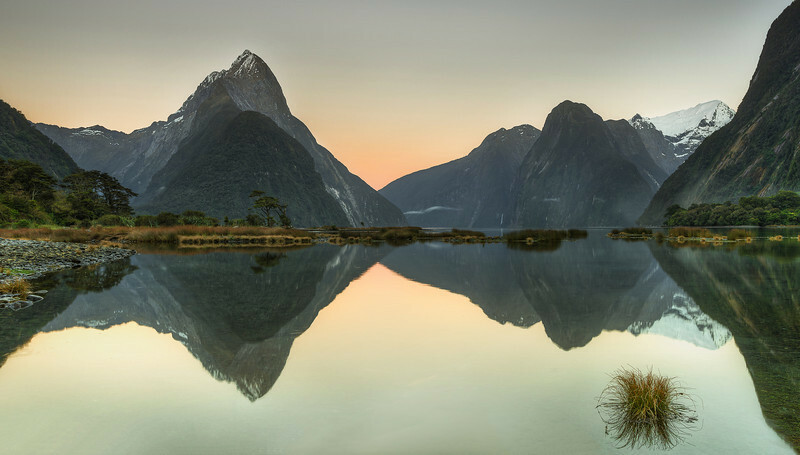 Milford Sound – so beautiful the gods placed the Sand flies there, so that mankind would not stay there for too long. 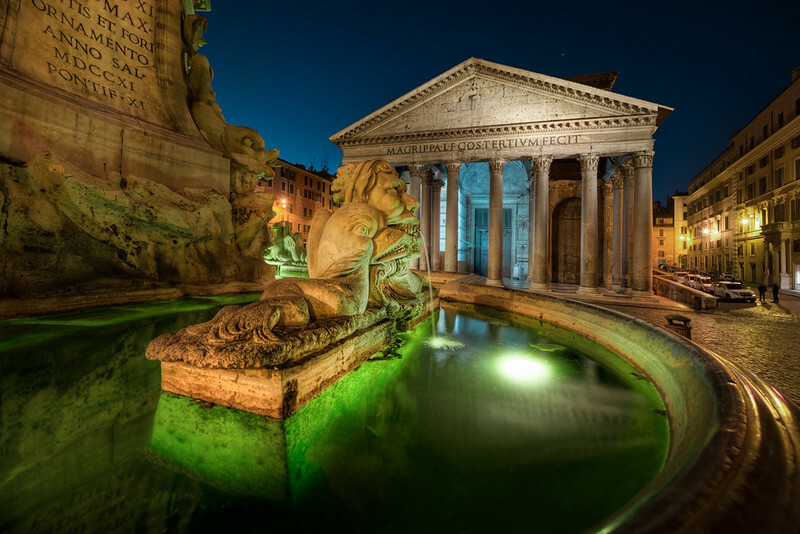 The Fontana del Pantheon has an acid green color at night. I just returned from Rome. We were down there to receive my parents in law. They had walked all the way from Denmark to Rome, not exactly on a pilgrimage. They began in 2003. My father-in-law crossed the Alps at the age of 76 with no problems at all. We received them at the gate at Piazza del Popolo and had cold Prosecco (Italian version of champagne) ready. They ended up walking approximately 3300 km over a span of 13 years. But, being in Rome, also offered a lot of photo opportunities; not as many as we had hoped, though. The only major site we visited, that did not have scaffoldings, was St. Peter’s Basilica. On the very first morning, we went to the closest location the Spanish Stairs, and when we got there, it was completely sealed off, and entrance to the stairs was impossible. It didn’t matter a lot because the church at the top was covered in scaffoldings. The Spanish Stairs were sealed off both at the top and the bottom. Instead, we moved on to the Pantheon. I can see that I have learned a lot. I shoot much more purposeful now than I did earlier. I have researched areas beforehand and have some ideas of what there is to shoot. I go straight for the more or less bullet proof shots, and then I start searching for more unusual angles. Using this method, I find that I always have at least one carry away shot. The photo of Pantheon in the top of this post is one of my favorites and the first one I processed. I didn’t see it, at first, but when I got close to the fountain, this acid green color showed up. And as I moved closer, and I could see there was a shape – the foundation of the statue – in the water, and I went even closer to get this. Believe me, that color is as good as straight out of the camera. Pantheon itself is one of the most amazing buildings I have ever seen. The roof inside is insanely beautiful. Scaffoldings covered half of Rialto Bridge when I visited Venice. This, of course, was a great disappointment, as I had planned to shoot it. I call it Scaffolding Disease, and I seem to suffer from this disease. The good thing about such situations is that you are forced to look for alternative compositions. In this case, I had half of the Rialto Bridge to work with, and only from this side. On the other side, houses on both sides were completely covered in scaffoldings too. I walked around, and suddenly I saw this reflection in the roof. The Taxi boat had been lying there for ages. 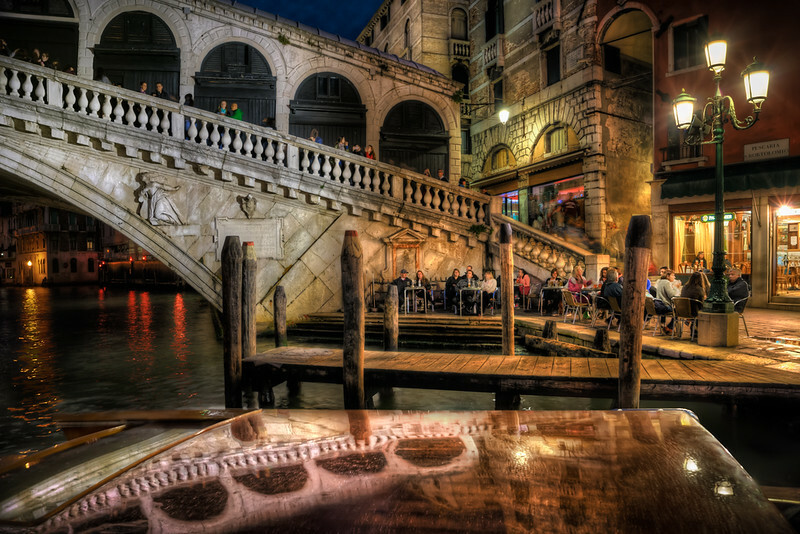 We had been at Rialto bridge since before the city lights were turned on, and the taxi had been there most of that time, but I hadn’t thought of using it as a reflection surface. I am not sure I would have shot this shot, had it not been for the search for a unique composition, using only half the bridge. The reflection in the roof is a bonus, but it is the final touch, I think. 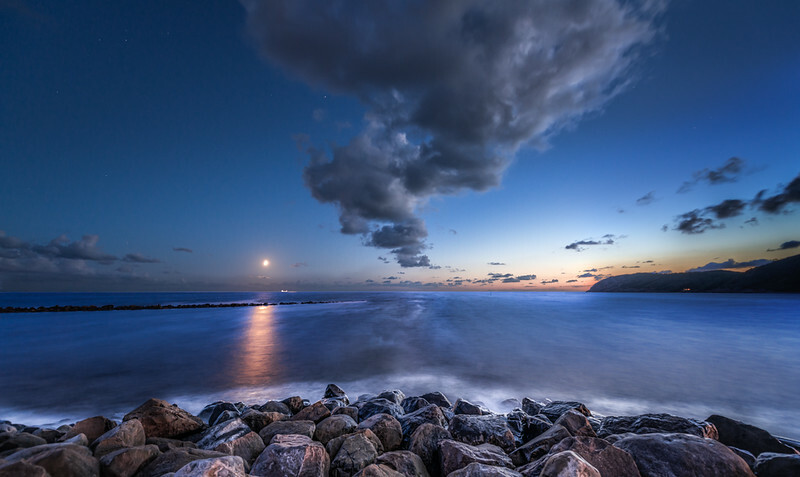 I have seen such a tail of clouds a couple of times, along the coast line in Sweden. In Sweden, there is a peninsula called Kullen. It’s a big chunk of cliff on the western coast, not too far from Denmark. We went there to stay at “The Grand Hotel” in Mölle. The hotel is amazing. It sits high on the cliff like a Queen and has a fabulous view of the ocean and small harbor of Mölle, from where this photo is shot. In 1908-9 The Grand Hotel was built as one of the first bathing hotels. People went there and bathed (shamelessly I might add) in striped long legged bathing suits. This shameless bathing caused photographers to go there and shoot photos of almost naked people (doh! ), something that later turned into a valuable historic source of information about the early 20th century. This photo is from the harbor in Mölle and you see Kullen on the right hand side. The light you see on the coast line is Ellens Cafe – a cafe worth a visit!